‘Green Dice’ is a musical project being done and performed by Amir Hossein Ahooie with respect to the people of Iran’s Green Movement. 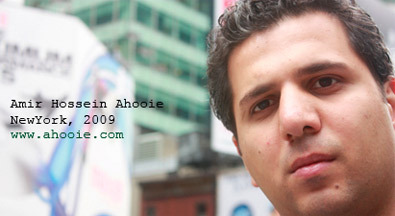 Amir Hossein Ahooie is an Iranian avant garde composer, musician, journalist and cultural and artistic events manager. He’s been supervisor to Tehran Chamber Orchestra and Tehran Philharmonic Orchestra for a year and half and has performed in concerts in Iran, Austria, United Arab Emirates and. He’s also been editor to a music specialized magazine for years and his articles have been published in the press.